50 YEARS OF OIL MESS IN THE NIGER-DELTA | Thoughts of a Calabarboy. 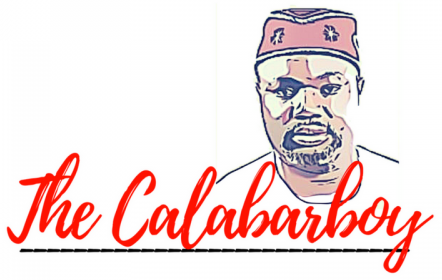 50 YEARS OF OIL MESS IN THE NIGER-DELTA – Thoughts of a Calabarboy. As I watch BP eventually seal the leaking well in the gulf of Mexico, and begin the procedure of its permanent blockage, I feel my stomach ache. My ache comes from the disgusting feeling of knowing that in my Niger-Delta backyard, we have an oily mess that has not received much international attention as the barely 100 days oil spill in the United States. How this got so covered up to the extent that even Nigerians have no idea of the degree of spillage thoroughly baffles me. What has the media houses or the ministry responsible for the environment been doing that it is at the point when another country is forcefully dealing with their own challenges that ours is now serving as a basis for comparison? After I watched the video below where Fareed Zakaria makes a pitch about Nigeria’s oil mess, I suddenly feel terribly guilty that I never took the case seriously over the years. We all have heard about the oil spills, but somehow, since it is NIMBY (Not In My Back Yard) we have hissed and continued on as though people’s lives and livelihood have not been severely altered. This kind of nimbyism has created a disaster for over 40 years and how much of this can we really undo at this time. While I blame Shell and other oil companies operating these areas, my frustration lies more with the government who controls a major share of the oil proceeds. This is to tell you that thieves and robbers have blatantly ruled us and everyone of them must be brought back and tried for not just mortgaging our future, but for also corrupting our environment. I expect this government to make proper plans to clean up this mess without further delay, drawing major support from these companies that have operated there. The companies can’t all be blamed, as militants have also their fingerprints on much of the spills. However, we cannot begin to apportion blames at this time but to become responsible stewards of the properties ion our care. It may be nearly 50 years of mess, but let’s start now to make a clear case for the government to clean this up. It is utterly shameful!!! I can only imagine…. with all these spill, inadequate compensation to the people directly affected, why won’t there be unrest in the land, ; on the other hand those in the corridor of affairs cart away with benefits meant for the people, don’t they have conscience? Jess!